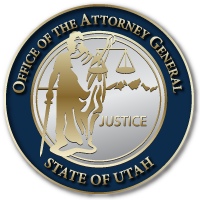 SALT LAKE CITY November 21, 2016 — Attorney General Sean D. Reyes, who is of mixed- Japanese descent, today expressed concern about comments reported in national media last week that justify the creation of a national Muslim registry, citing the Japanese internment during World War II as legal precedent. An Aspen-Rodel Fellow, Attorney General Reyes learned of the comments upon return from the three-day Aspen Institute seminar on public policy and civility. “Reference to the Japanese internment as a legal prerogative for any policy is offensive and counter to the highest ideals to which we aspire as a nation. I join in President Reagan’s past recognition of the injustice of the Japanese internment, as well as in President-elect Donald Trump’s rejection of the formulation of a registry or system that tracks individuals based on their religion. This entry was posted in Archived Posts, Recent Posts and tagged Attorney General Sean Reyes, Japanese Internment on June 27, 2018 .